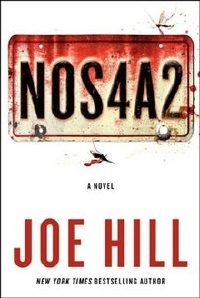 NOS4A2 is based on Joe Hill’s bestselling novel of the same name, and tells the story of Charlie Manx, a seductive immortal who feeds off the souls of children, then deposits what remains of them into Christmasland – an icy, twisted Christmas village of Manx’s imagination where every day is Christmas Day and unhappiness is against the law. Manx finds his whole world threatened when a young woman in New England discovers she has a dangerous gift. AMC has premiered the first teaser for the show.